Jamaican Sorrel has long been described as a symbol of Christmas on the island. But you do not need to wait until December to enjoy this refreshing piece of paradise. In fact, grab your favorite bottle of rum and "Turn-up" your Friday afternoons. 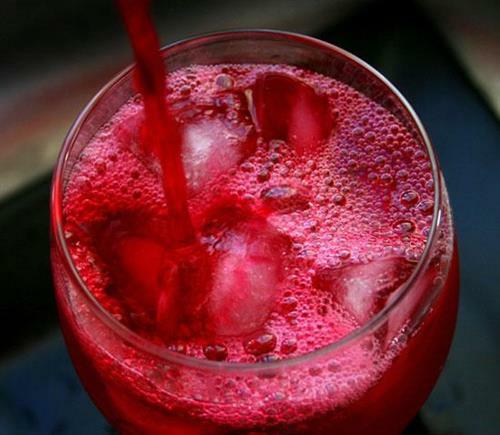 Pour Sorrel into a large cooking pot with 8 cups of water. Add the tablespoons of ginger. Boil the mixture for 10 minutes after it begins to boil. Remove immediately and pour through a strainer into a suitable container. Return the remains from the strainer and return to the cooking pot and add 2.5 cups of water. Bring to a rapid boil again and remove after 10 minutes. Strain the mixture and discard the residue. Sweeten with 1.5 cups of white sugar or to taste. Cool then serve over ice. Refrigerate the remainder.